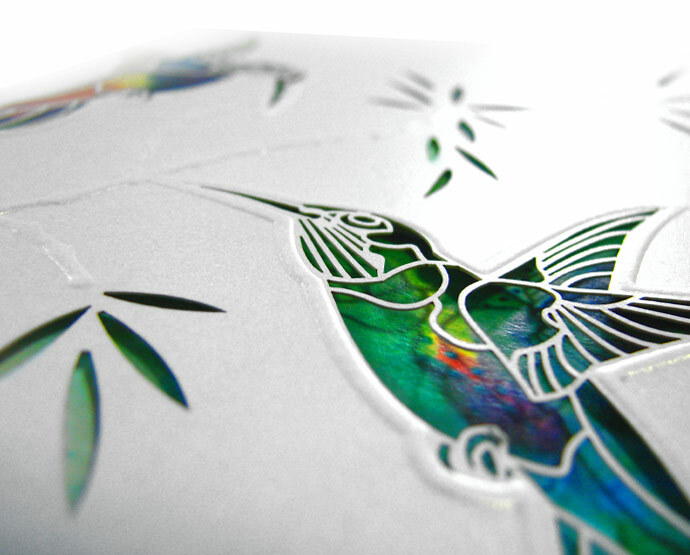 An original invitation from the newest collection made from white pearl paper. 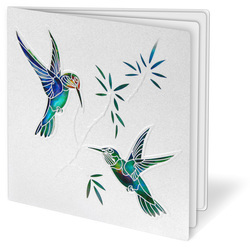 The cover has two laser-cut humming birds. Their contours, and the branches are embossed. 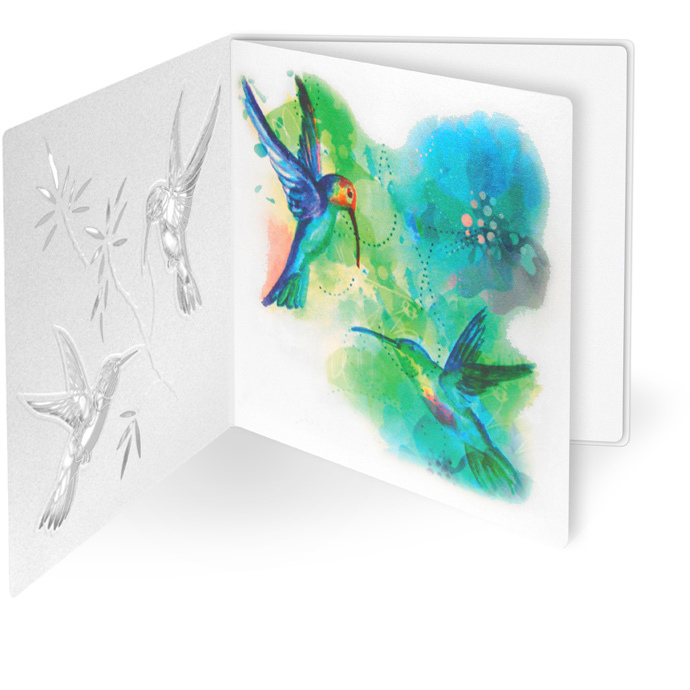 The most interesting element of the invitation is a colourful print on the first page of the insert. 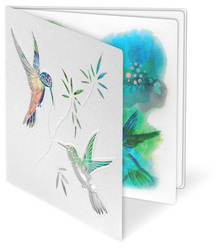 It shows two flying humming birds on a background of flowers, and it acts as a background for the birds cut in the cover. The insert for printing is white.